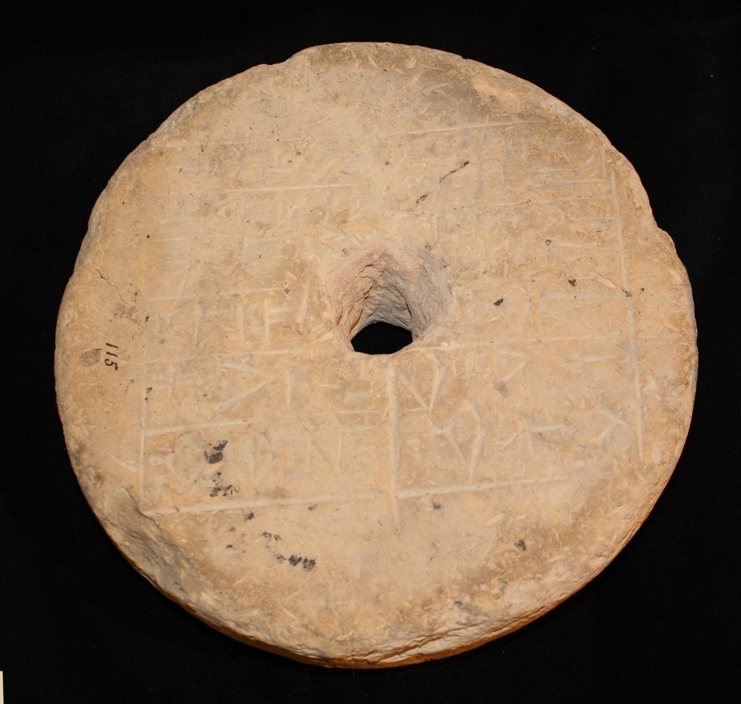 This object is a round baked brick, with a hole through it. The hole was probably added later, as it cuts through the inscribed text. It might have been transformed into a support of some kind for a staff or mace. The inscription records Gudea’s rebuilding and restoration of the temple of Ningirsu at Lagash. There are other copies of this text on similar foundation bricks. This entry was posted in Gudea (c. 2141-2122 B.C.E. ), Lagash I and II Periods (c. 2570-2342 B.C.E. ), Royal inscriptions. Bookmark the permalink.